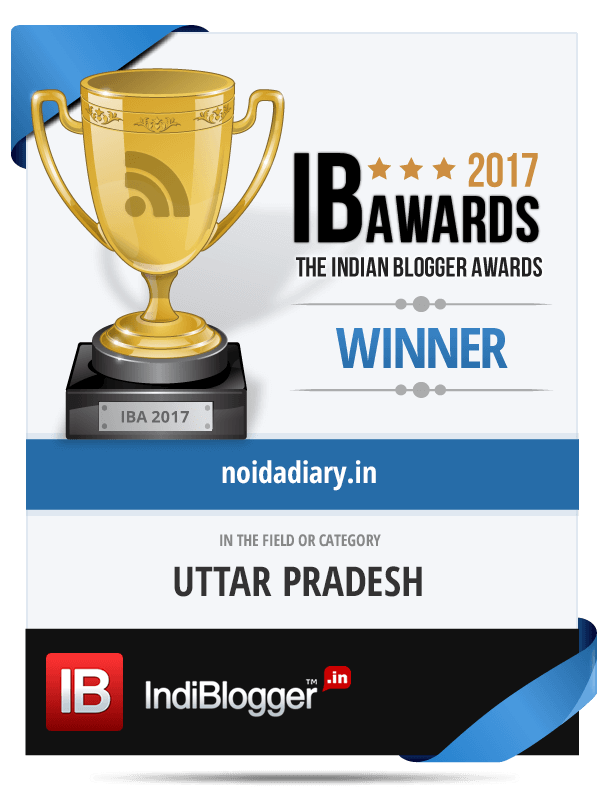 Noida Celebrates International Women's Day 2018 - Noida Diary - Rediscover Noida With Us! International Women’s Day (IWD) is a global event to celebrate women’s achievements in social, economic, cultural and political sphere.The day marks a call to action for accelerating gender parity. IWD brings together people, governments, professionals, corporations, media and non-profits and charities to pledge to create a more gender equal world. It is observed since early 1900s and in present times it is commemorated every year on March 8. Noida Celebrates International Women’s Day 2018 with a lot of interesting events where women are felicitated and celebrated. Fast Facts – The United Nations officially adopted International Women’s Day in 1975. The day is observed around the world with artistic performances, talks, rallies, networking events, conferences and marches. It is a perfect occasion to celebrate women’s achievements, raise awareness on women’s rights, launch new initiatives and action and highlight gender parity gains. You can do your bit and show solidarity and support for women by wearing a red arm band on March 8. You can join the movement to declare actions you will take as an individual to help progress the gender parity using hash tags #IWD2018 and #PressForProgress on social media. This year, International Women’s Day comes on the heels of unprecedented global movement for women’s rights, equality and justice. Following the outpouring of allegations against Harvey Weinstein and other prominent men in power, the #MeToo movement gave a voice to women on the abuse and harassment they suffer in film, fashion, music, politics and art and across industries. This has taken the form of global marches and campaigns, including #MeToo and #TimesUp, #NiUnaMenos, or #Ana_kaman on issues ranging from sexual harassment and femicide to equal pay and women’s political representation. TIME magazine named the women speaking out against sexual and gender injustice their Person of the Year in December 2017, naming the collective winner ‘The Silence Breakers’. The vocal, headline-grabbing fight for women’s rights has only increased in 2018, with female actresses donating money and wearing black at awards ceremonies in support of #TimesUp and BBC journalist Carrie Gracie publicly resigning as China editor over unequal pay. World Economic Forum’s 2017 Global Gender Gap Report findings suggest that gender parity is over 200 years away. On IWD, women across the world come together to compel the world to recognize these inequalities – while also celebrating the achievements of women who have overcome these barriers. Incidentally, 2018 marks 100 years since (some) women were given the right to vote in the UK: the introduction of the People’s Representation Act on February 6, 1918 permitted women over 30 who owned a house the right to vote. Fast facts – The Soviet Union was the first country to make International Women’s day a holiday after women gained suffrage in 1917. International Women’s Day is taken up as an official holiday, or a holiday for only for women in several countries across the world. This year, International Women’s Day comes on the heels of unprecedented global movement for women’s rights, equality and justice. This has taken the form of global marches and campaigns, including #MeToo and #TimesUp in the United States of America and their counterparts in other countries, on issues ranging from sexual harassment and femicide to equal pay and women’s political representation. The theme for IWD 2018 is #PressforProgress, a nod to the growing global movement of advocacy, activism and support surrounding gender parity and sexism. Inspired by the #MeToo and #TimesUp movements, the aim of the theme is to encourage people to continue the vocal fight for equality. Press for Progress — a call to motivate and unite friends, colleagues and whole communities to think, act and be gender inclusive. There are a host of free and ticketed events taking place across the capital , including talks, workshops and film screenings. Various schools, colleges and universities organize special gender awareness programs including talks, recitations and fun activities. police departments and other government bodies will felicitate women achievers in their departments. Some of the events celebrating women’s day in Noida are listed here. NCR-based biker Pallavi Fauzdar will be one of the eight women from across the country to be honoured by the Ministry of Women & Child Development on International Women’s Day. President wwilbe felicitating her on International Women’s Day. Pallavi has the distinction of being the first woman to cross eight mountain passes at heights of over 5,000m in a single journey. She is also the first solo female biker to reach the highest motorable point in the world. Pallavi had achieved this feat in the summer 2017. She is a resident of Noida Sector 93 and Delhi’s Shankar Vihar. KidZania Delhi NCR on the occasion of Women’s day extends an invitation to all the women to experience fun time and go back to childhood on 8th March 2018. Women’s Day at KidZania offers totally Free entry for women above 17 years. Schoolof Education (SOE), Sharda University will organize a screening of the movie, ‘Matrubhoomi: A Nation Without Women’. It is an Indian film written and directed by Manish Jha. The film examines the impact of female foeticide and female infanticide on the gender balance and consequently the stability and attitudes of society. Thus, sensitize the future teachers to eradicate these issues from the society and commit to ‘ Press for Progress’. Also, there will be a Poem recitation competition on the theme ‘ Press for Progress’. You can enjoy all the blockbuster hits of the First Woman Superstar of Bollywood – Sridevi at PVR Logix Noida. The multiplex is celebrating Women’s Day dedicating it to the Diva who ruled our hearts in 80s and 90s with star performances in movies like Mr India, Sadma, ChaalBaaz, Nagina and many others. PVR logix will be running all Sridevi shows on March 8th. Go for a Run with your lady friends and family to take your fitness quotient to next level. Piku Sports will organize on March 11 Women’s Day Run at TGIP – Garden’s Galleria Mall Grounds to celebrate and motivate women for their fitness and good health. There are medals and trophies to be won. Participants will get a nice T-shirt and a certificate too. You can participate in either Run or a Walk of 2, 5 and 8 Kms. Also enjoy Zumba, Bhangra and Music band on the occasion. Celebrating the World of Women – The WOW festival will have a live performance on the launch of debut song called ‘Gudiya Rani’ by YouTube sensation Udit Shandilya celebrating the girl child. You can enjoy the show at Marvel Atrium 3rd floor Mall of India on the 8th march from 6pm onwards. Also get the chance to meet Jasbir Jassi on the occasion of International women day. Experience a one of a kind exhibition by The One World Foundation from 7th to 11th March of women oriented handicraft and handloom items from different states of the country showcasing their best work. Meena Bazaar is offering a super offer this Womens Day. Get discount equivalent to half your age when you shop from their new arrival. Get, set, shop! Kicking off with sweepstakes at DLF Mall of India, there are gift vouchers worth Rs 9,000 to be won every 3 hours from 8 – 31 of March. Giving a green signal to #GenderParity and #PressforProgress will offer Holiday Inn Mayur Vihar all women a 50% off on food & beverages on wearing green. Lunch and dinner at cafe on 3 and Kylin Experience. Give them a call at 8860634441 8860634479. Runex Sports is celebrating International Women’s Day with Tech City Marathon in the Technology City, Noida. The motto of the marathon is to promote women’s safety by conducting running, fitness and self defense session in and around Delhi-NCR. Participants will get an attractive T-shirt, medals, certificates and support during the run. You can join in for a 5. 10, 42.2 and 65 Km marathon run on March 11. There will be cash prizes in each categories.